Flyer to download for print. 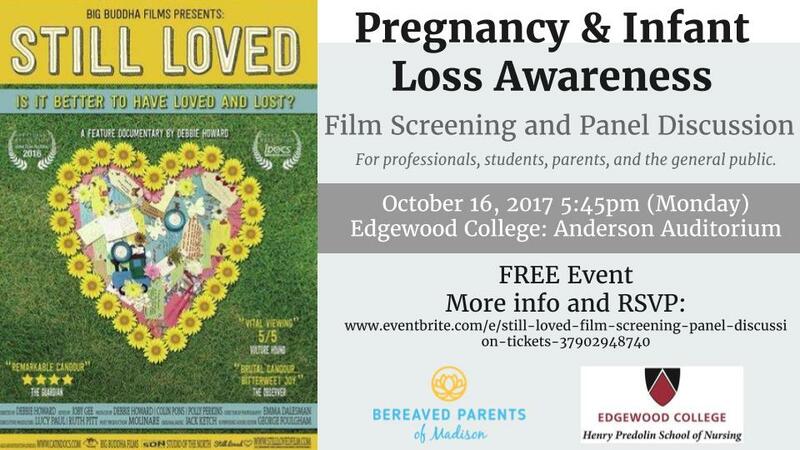 Please join Bereaved Parents of a Madison, Inc for a screening of the documentary film Still Loved. 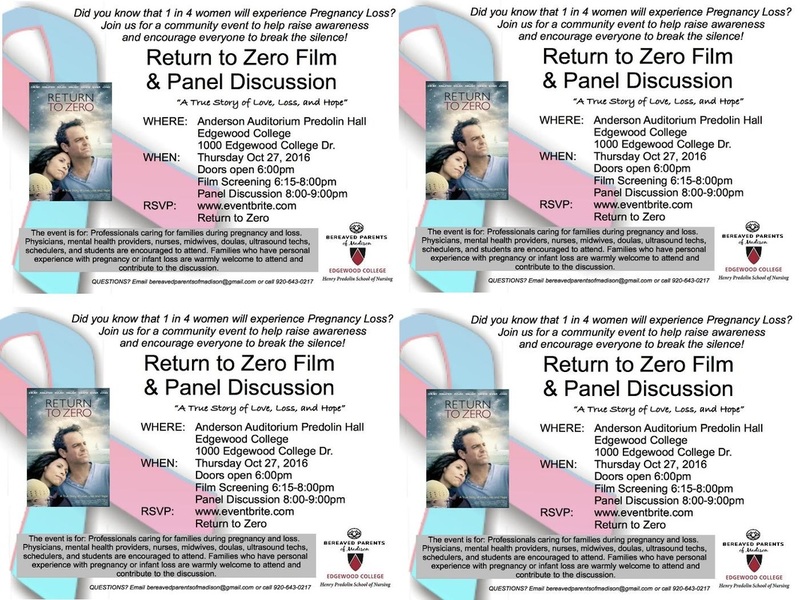 The film is a raw look inside the lives of several families after they experience pregnancy loss. Many topics are covered including getting their bad news, relationship issues, partner grief, memory making, regrets, and trying again. After the film, we will host an interactive panel discussion. Bereaved parents are always welcome to attend. This is a difficult film to watch, please be gentle with yourself. Community members who are interested in learning more about pregnancy and infant loss are also encouraged to attend. Thank you to Henry Predolin School of Nursing for co-sponsoring this community event. This event has passed, but we look forward to hosting it again in the future. If you are interested in being notified, please subscribe to our Monthly Support Calendar email! We are also happy to loan out our copy of the film and/or attend a screening with your staff. ​Please email bereavedparentsofmadison@gmail.com for information. 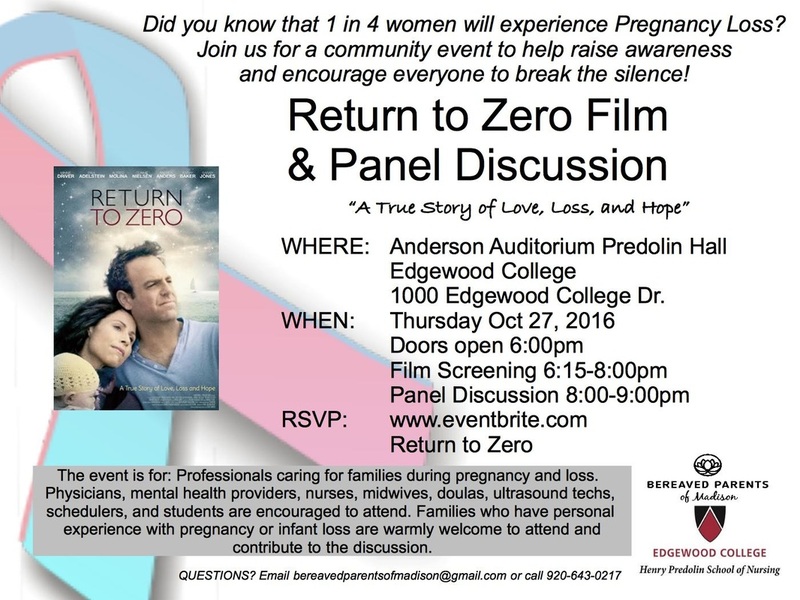 Please join Bereaved Parents of Madison Inc and Edgewood School of Nursing to have an open conversation about pregnancy and infant loss. We will view the film and follow it with a panel discussion. We encourage you to share this event with providers who work with expecting families and families who are interested in participating in the conversation about their experiences. Please feel free to use the flyer or handout sheets to share details.